The Nursery/Landscape CDE is a fun contest testing your nursery and landscaping knowledge and skills. In this contest you will learn how to identify 116 different plants, and equipment and disease identification. You will learn general knowledge about the Nursery and Landscaping industry. You will work with your team in a skills challenge where each of you will do landscape industry challenges, from irrigation pipe fitting to identifying the parts of a chainsaw to explaining the operation of a lawn trimmer. People skills are something very important you will gain. In the customer assistance portion you will get to interact with your judges. If you enjoy being outdoors and working with your hands, this is the contest for you. The Nursery and Landscape CDE has 3 levels: regional, state, and national. Any FFA chapter can compete at the regional level. Top 4 regional winners qualify for the state contest. State winning team qualifies for the national contest. The regional and state contests are held in April. 2016 - 1st place, Regional. 1ST PLACE - STATE CHAMPS!! - Team members: Chloe Ford (1st High Individual), Kylee Phalen (2nd High Individual), Josh Bruni (3rd High Individual), Brett Barnett (4th High Individual). 2015 - 1st place, Regional. 2nd place, State. Read about it below! - Team members: Chloe Ford (1st high individual, Regional CDE), Chasity Fowler, Breanna Jones, Kylee Phalen. 2014 - 1st place, Regional. Read about it below! 1st place, STATE CHAMPS! 12th place, Gold Emblem Award, National. Read about it here! - Team members: Abby Anderson, Kenzie Bastian, Molly Sayre, and Jenna Fabozzi. 2013 - 1st place, Regional. 3rd place, State. Read about it below! - Team members: Abby Anderson, Shianne Milbourn, Molly Sayre, Cole Tipton. 2012 - 1st place, Regional. 1st place, STATE CHAMPS! 11th place, National. Read about it by clicking here! 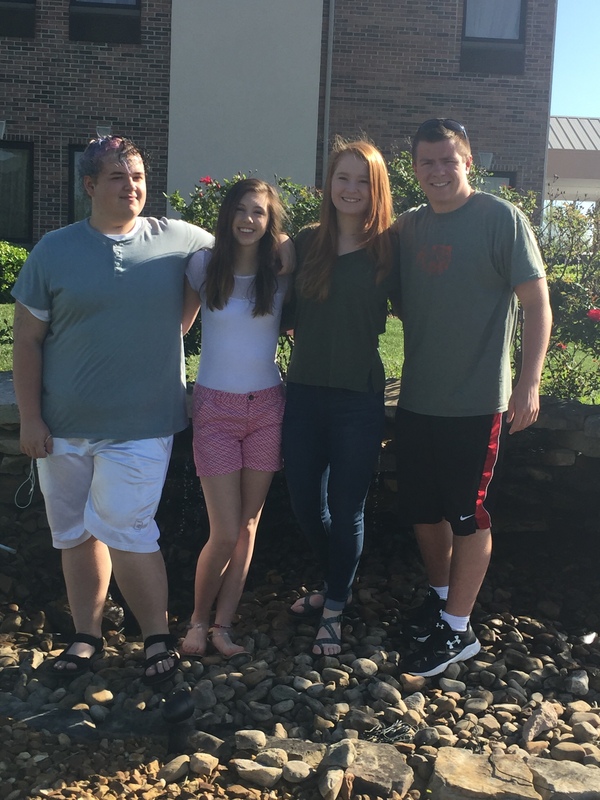 - Team members: Bryce Bateman, Kareena Jones, Jonathan Lykins, Rebekah Wright. DAVID CROCKETT FFA WINS 2016 STATE NURSERY/LANDSCAPE CDE! David Crockett FFA placed 1st in the Regional CDE, then dominated the State CDE! Chloe Ford - 1st High Individual, State. 1st High Individual,Regional. Brett Barnett -4th High Individual, State. 4th High Individual, Regional. Kylee Phalen - 7th High Individual, State. 2nd High Individual, Regional. Josh Bruni - 10th High Individual, State. 3rd High Individual, Regional. 3rd in the State Nursery and Landscape CDE! Another Winner! David Crockett FFA places 1st in the Regional Nursery and Landscape CDE! Team members are Cole Tipton (1st High Individual), Abby Anderson (2nd High Individual), Dustin Foister (3rd High Individual), and Paty Morales. The contest was held at UT-Knoxville on Saturday, April 6. The team prepared and trained for the contest with several practices, independent study, and hard work. The David Crockett FFA Chapter places 3rd in the State Nursery and Landscape CDE! Team members are Cole Tipton (2nd High Individual), Abby Anderson (9th High Individual), Shianne Milbourn, and Molly Sayre. Placing 3rd in a State FFA contest is a proud and difficult achievement. The team dedicated themselves wholly to the nursery and landscape industry, training and gaining industry knowledge. 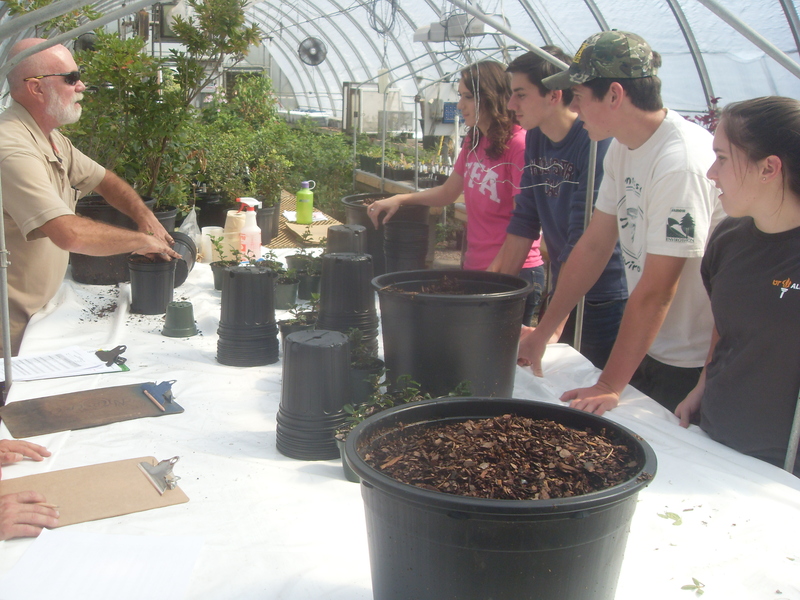 The contest consisted of a general knowledge exam, identification of 116 plant species, identification of equipment and disorders, a propagation practicum, a landscape estimation, written assistance, and a team activity. The contest was held at TN Tech University in Cookeville on Saturday, April 20.